I've finally gotten the hang of Twitter and now I'm hooked. Will you come by and say hello? 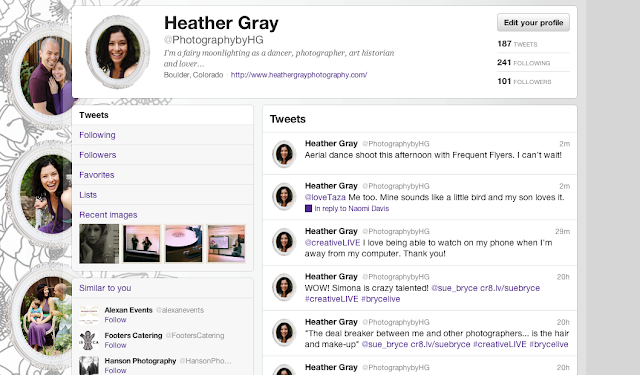 My handle is @PhotographybyHG. If you'd like to get to know me a little more, you can check out my daily life and follow my crazy tweets here. So please come by and say hello.